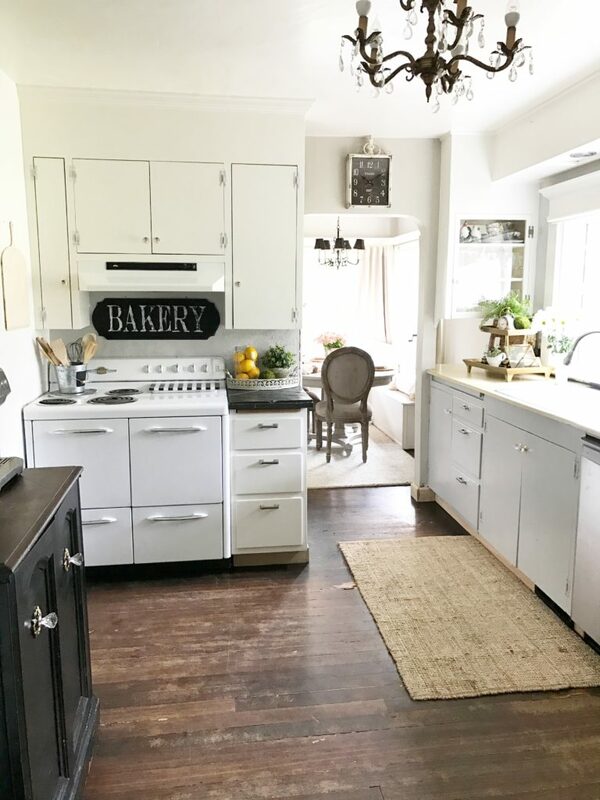 Updating Your Farmhouse Kitchen Under $1,000 – Hallstrom Home Updating Your Farmhouse Kitchen Under $1,000 Simple updates any woman can do! Paint, Hardware and a little work gets any kitchen looking new again. Want to redo your kitchen without breaking the bank? 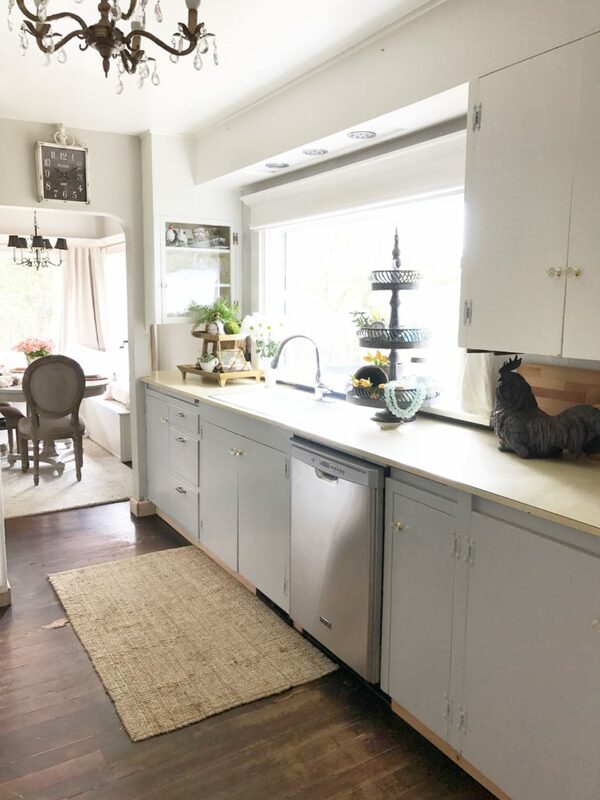 Let me show you how Updating Your Farmhouse Kitchen Under $1000 can be easy and fun. 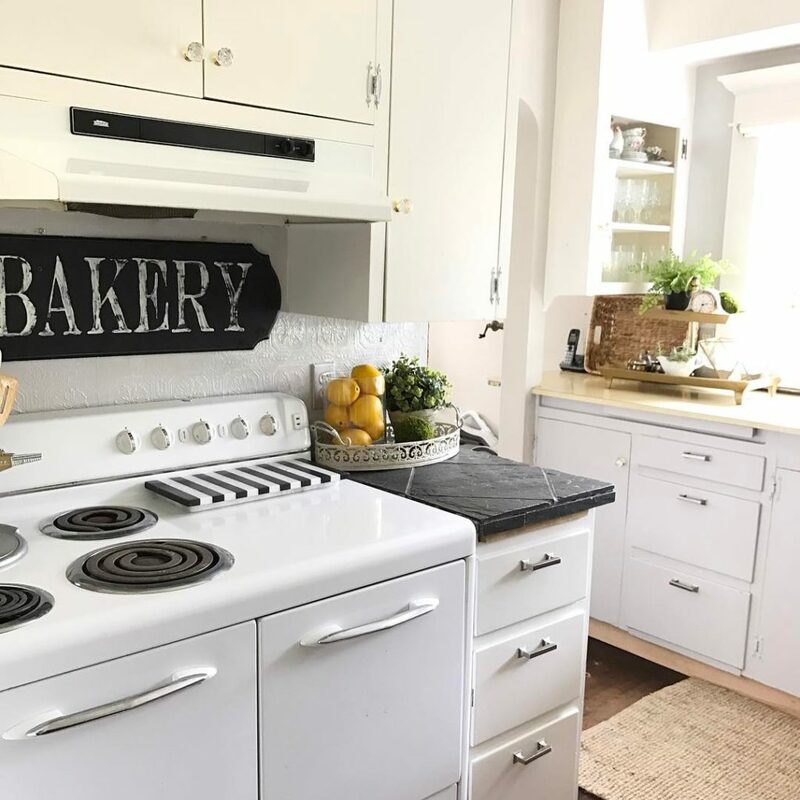 The main factor in Updating Your Farmhouse Kitchen Under $1000 is painting the cabinets. For this I used Benjamin Moore Advance Paint as found here on Amazon. 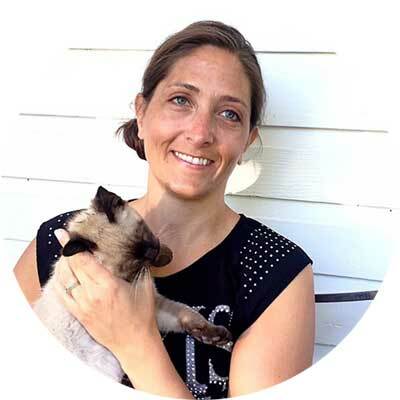 I will include this affiliate link below so you can check it out. I have been using this product for years and love how smooth it turns out once dry. This is a self leveling paint so you want to limit your brush strokes. Feel free to leave me a message if you have any questions. Check out my favorite paint brush post here. The fun part to Updating Your Farmhouse Kitchen Under $1000 is the hardware. 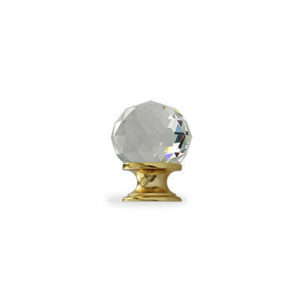 I used RCH Hardware for my crystal knobs. I couldn’t resist adding a little bling to update the farmhouse kitchen. These are really affordable and I have been getting many complements from family and friends which makes this update even better. I will include a full view of the knob at the bottom of my post. As you can see that I still have my 70’s yellow counter tops. We are planning a major kitchen remodel one of these days and I can’t wait to show you all the big changes we make in the future. One thing I decided was that I would continue to use this beautiful hardware on my new cabinets but will get different pulls. RCH Hardware has many styles to choose from when Updating Your Farmhouse Kitchen Under $1000. Craig’s list can come in very useful if your wanting a vintage stove like we have here for Updating Your Farmhouse Kitchen Under $1000. This was $50 and works very well. The best part of a kitchen redo is adding the kitchen decor. So I added some products below. Finally I included affiliate links so you can shop this look. Did you know sometimes I will hop onto a blog that I follow and will click one of their amazon links? From there all my purchases will help give a little income to that blogger even when it’s not their item I bought. I figured that was a pretty cool thing to do. 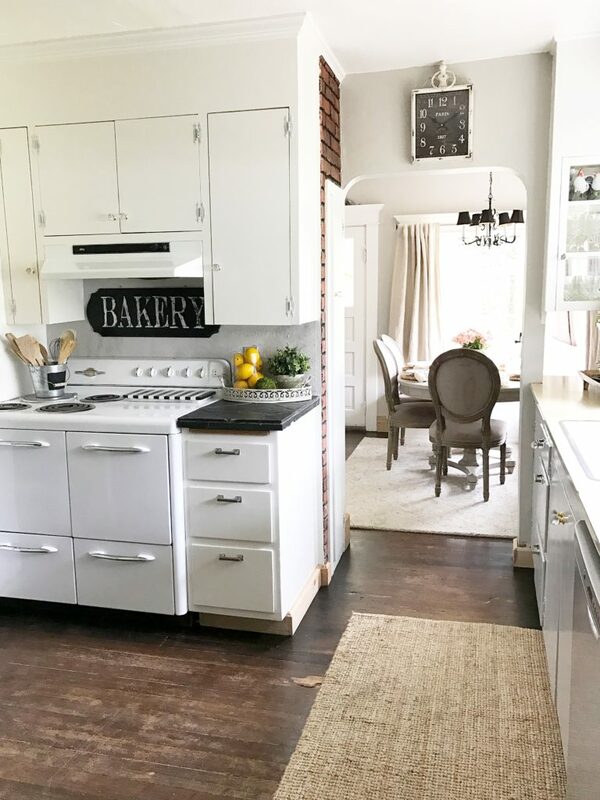 Updating Your Farmhouse Kitchen Under $1,000 Simple updates any woman can do! Paint, Hardware and a little work gets any kitchen looking new again.